Royal Blood performed their single, “Lights Out”, on NBC-TV’s Late Night with Seth Meyers on June 8 and video from the program is available online. Due June 16, the duo of bassist/singer Mike Kerr and drummer Ben Thatcher recorded the project in Brussels, Belgium with producer Joylon Thomas and London, UK with co-producer Tom Dalgety. 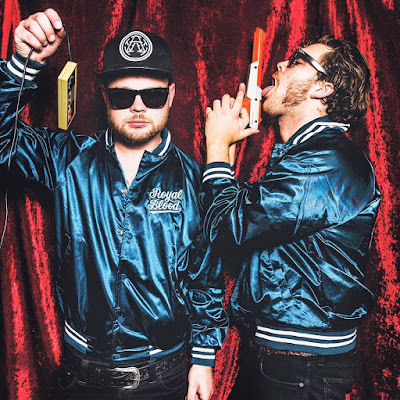 After recently finishing a series of warm-up and promotional shows, Royal Blood launched a two-week North American tour in Boston, MA on June 2 that wraps up with an appearance at Bonnaroo on June 11. The duo will then head to Europe for a month of festival dates before hitting Australia in July and returning to North America for another 2-week run in August that will include sets at Lollapalooza in Chicago, IL and the Outside Lands Music & Arts Festival in San Francisco, CA.